Stops data leeching! Foil Microsoft’s attempts to gather your personal information: Win10PrivacyFix blocks Microsoft’s data transfer server and disables the appropriate services. Optimizes Explorer and background services: Stop, for example, the persistent activation of the microphone or the regular transmission of keystrokes.Take back security and control of your system: Win10PrivacyFix helps you manage the balancing act between comfort and privacy. Win10 PrivacyFix blocks Microsoft’s data transfer server and disables the appropriate services. Stop, for example, the persistent activation of the microphone or the regular transmission of keystrokes. 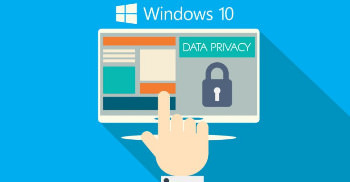 Win10 PrivacyFix helps you manage the balancing act between comfort and privacy. No prior knowledge required You have control here. It manage other useful services, not only the security functionality. Enables deleting of compulsory installed programs from the anniversary update. Foil Microsoft’s attempts to gather your personal information: Win10PrivacyFix blocks Microsoft’s data transfer server and disables the appropriate services. Optimizes Explorer and background services: Stop, for example, the persistent activation of the microphone or the regular transmission of keystrokes. Take back security and control of your system: Win10 PrivacyFix helps you manage the balancing act between comfort and privacy.